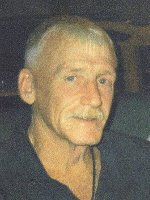 WATERFORD – Andy fought his battle with cancer just like the Marine that he was, fighting to the bitter end. He passed away peacefully in the loving arms of his wife and son with his family by his side on Tuesday, August 22, 2016. Andy graduated from CBA, Class of ’62. He attended college at Villanova, Mt. Saint Mary and Marist majoring in History and Accounting. Taking a break from college he joined the U.S. Marine Corps and served in Viet Nam as a machine gunner from 1966 to 1968 and was awarded the Purple Heart fighting for his country. Andy worked many construction jobs in his younger years and was co-owner of Central News in Albany until the late 1970’s. He retired from the U.S. Postal Service in 2006 after 20 years of service. Andy was a NY Yankees and Atlanta Falcons fan, although there wasn’t a sport he didn’t follow with his son Drew. He was an avid reader never without a book by his side. If you needed to know something all you had to do was ask Uncle Andy as he was a walking book of knowledge. He loved the game of golf and was fortunate after retirement to golf several times a week with his dear friends (the recently departed Brian Justice, Bill Shea, Art Mac, Mike Aquino, Billy Williams and Willard Schultz). Andy traveled around the country with his wife following their son’s Military career as well as vacationing in The Bahamas, Aruba, Mexico and many years in at his favorite beach in St. Martin. He was a very generous and devoted family man and was notorious for doing things BIG. He enjoyed being the grill-master barbecuing for family and friends (especially the grandchildren’s favorite Pop’s Burgers) at his pool during the summer and entertaining in his bar during the winter while listening to Sinatra… and he did it His Way. He was known as “Uncle Andy” in his Waterford neighborhood by children and adults alike. Andy’s favorite expression was “Holy Smokes” and the children would imitate him every time he said it. Andy was born in Albany, NY on December 6, 1944 while his father was a prisoner of war in Germany, the first of seven children to the late Andrew M. Pinckney Sr. and Alice McDermott Pinckney. He is survived by his wife and BFF Katy of 34 years, his son Lieutenant Colonel Drew Pinckney and Daugher-In-Law Jaye, and was Pop to his grandchildren, Peyton, Briley and Chace. He was predeceased by his brothers James and Bertram. He is survived by his sisters Cathy Pinckney, Bethy (Steve) Finkle, Peg (Jim) Gaudet, and brother Michael (Debbie) Pinckney, his Mother-In-Law Nan McLinden, Sister-in-Laws, Erin (Larry) Vohs, Kelly Callendar and Shannon Herrington, his Aunt Helen Casey, his dear Aunt Pauline Shaw and dearest family friends Connie and Carol Cheeseman and many nieces, nephews, great nieces & nephews and cousins. He also leaves behind his canine companions Jim and Steve. We love you to the moon and back! In lieu of flowers please donate a pint of blood to the American Red Cross in his memory www.redcross.com or pay it forward by helping a Vet. Funeral services will be held in the Hans Funeral Home, 1088 Western Ave., Albany, Friday morning at 8:30, and from there to the Parish of Mater Christi, Hurst Ave., Albany at 9:30am. Relatives and friends are invited, and may call at the funeral home Thursday from 4-8 p.m. Interment will be in the Gerald B. H. Solomon Saratoga National Cemetery, Friday at 12:30 p.m. To leave a message of condolence for the family or obtain directions to the funeral home, please visit www.HansFuneralHome.com. Though I never knew you, I know Nan, Erin, and members of the Shaw family. for many many years. Please accept our deepest condolences on the loss of a great father, husband, Marine and friend. While we did not have the honor of spending time with Andy, we could tell him was such an important part of Katy’s life. May the warmth and serenity of God’s peace surround and protect you during these difficult time. My condolences to you and your family. Cousin Andy was a beautiful man and a warm-hearted soul. He will be missed. Though I never had the pleasure to meet Andy, I feel like I know him so well through the wonderful stories that Katy has shared with me over the years! I am so very sorry for your family’s loss, draw strength from the wonderful memories that Andy has left you with and the faith that he is now in a better place looking down on all of his loved ones! We are so sorry for the loss of Andy. He was a great man, and we are honored to have met him. May God bless and keep you during this difficult time, and may Andy rest in peace. Our thoughts and prayers from our family go out to Andy, Katy and family. While we know more of Katy than Andy, he was always quick with a smile and willing to help. He is in a good place now but his loss is still felt and he is missed. I loved cousin Andy, he came to my mothers funeral last year and we talked he was such a good man he will always have a place in my heart. You all have that same place, my condolences to you all. Please accept our deepest condolences. We know he will live on in memories. There are SO many tales to tell. May he rest in peace. Katy, there are no words to convey how sad I am to hear about Andy’s passing. Truly wishing that your sadness and pain pass quickly but that all of your happy memories last forever. My sincere condolences.